TNTBOMBOM edited projects for T890: Have cryptsetup installed by default in Whonix, added: Whonix 15; removed Whonix. TNTBOMBOM triaged T890: Have cryptsetup installed by default in Whonix as Normal priority. TNTBOMBOM triaged T889: Add qtox app to whonix 15 as Normal priority. TNTBOMBOM added a comment to T837: create Whonix project accounts. TNTBOMBOM closed T870: Shift/Open Peertube Video Channel as Resolved. TNTBOMBOM added a comment to T870: Shift/Open Peertube Video Channel. TNTBOMBOM triaged T885: Add MAT2 to Whonix 15 / Debian buster as Normal priority. TNTBOMBOM triaged T882: install unrar-free by default as Low priority. TNTBOMBOM added a comment to T804: ParrotOS's Firejail Code. TNTBOMBOM triaged T874: Remove Whonix non-free,contrib in the repository as Normal priority. TNTBOMBOM triaged T873: Remove Ricochet from Whonix as High priority. TNTBOMBOM triaged T870: Shift/Open Peertube Video Channel as Normal priority. TNTBOMBOM closed T826: try find mediawiki developer as Resolved. TNTBOMBOM added a comment to T826: try find mediawiki developer. TNTBOMBOM added a comment to T847: update https://www.whonix.org/wiki/Dev/Redistribution#Announcement. i will add to the wiki directly if i will find more. TNTBOMBOM closed T847: update https://www.whonix.org/wiki/Dev/Redistribution#Announcement as Resolved. TNTBOMBOM closed T834: learn about forum signatures as Invalid. will use it as a reference if i face one, but sadly those days of signatures seems to be gone. TNTBOMBOM closed T835: post contents to https://gab.ai/Whonix as Wontfix. 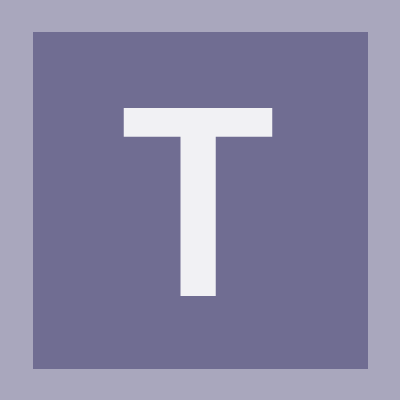 TNTBOMBOM added a comment to T834: learn about forum signatures. TNTBOMBOM added a comment to T835: post contents to https://gab.ai/Whonix. this is most likely going to be in the category of wont fix, as they have 0 interaction with emails. TNTBOMBOM triaged T864: Fixing old links as Low priority. TNTBOMBOM closed T846: post Whonix release announcements on crypto currency reddit as Resolved. TNTBOMBOM triaged T863: Duplicate Debian repos + fix one repo as Normal priority. TNTBOMBOM closed T836: google: social media strategy; learn as Resolved. TNTBOMBOM closed T838: create https://www.virtualbox.org Whonix account as Wontfix. TNTBOMBOM closed T844: post on mediawiki mailing list request for mediawiki job as Resolved. TNTBOMBOM triaged T843: unsubscribing to whonix mailing list sending empty message as Normal priority. TNTBOMBOM closed T841: Whonix mailing notifications doesnt work for my account as Resolved. TNTBOMBOM triaged T842: Cant create not visible tickets as Normal priority. TNTBOMBOM triaged T841: Whonix mailing notifications doesnt work for my account as Normal priority. TNTBOMBOM closed T830: Whonix as Resolved. TNTBOMBOM closed T831: create Whonix wilderssecurity.com with new riseup e-mail address as Wontfix. TNTBOMBOM changed the status of T835: post contents to https://gab.ai/Whonix from Open to Review. Email have been sent, and waiting for good respond. TNTBOMBOM changed the status of T837: create Whonix project accounts from Open to Review. TNTBOMBOM changed the status of T838: create https://www.virtualbox.org Whonix account from Open to Review. TNTBOMBOM closed T839: bookmark outreach workboard as Resolved. TNTBOMBOM closed T840: sign up for mailing lists as Resolved. TNTBOMBOM added a comment to T839: bookmark outreach workboard. TNTBOMBOM added a comment to T838: create https://www.virtualbox.org Whonix account. TNTBOMBOM added a comment to T831: create Whonix wilderssecurity.com with new riseup e-mail address. TNTBOMBOM triaged T737: Desktop Session Login better to start it with empty session / kdesudo error popup window ( sdwdate-gui ) as Normal priority. TNTBOMBOM raised the priority of T737: Desktop Session Login better to start it with empty session / kdesudo error popup window ( sdwdate-gui ) from Normal to Needs Triage. TNTBOMBOM added a comment to T737: Desktop Session Login better to start it with empty session / kdesudo error popup window ( sdwdate-gui ). TNTBOMBOM created T738: Change default application to not use kmail . TNTBOMBOM created T737: Desktop Session Login better to start it with empty session / kdesudo error popup window ( sdwdate-gui ). TNTBOMBOM created T736: Disable VLC metadata collection by default. TNTBOMBOM created T735: settings-plasma search/configure search configurations from Whonix-Gateway. TNTBOMBOM created T734: disable web shortcuts . TNTBOMBOM created T733: disable/remove KDE System Settings - Network - Settings. TNTBOMBOM closed T453: each documentation page requires an image for previews as Resolved. TNTBOMBOM added a comment to T453: each documentation page requires an image for previews. aha ok perfect , should i care about is this image with X license or Z license (like with logos)? or with images im free to use anyone i see it good to fit the subject ? yeah why not , but these links dont have photos inside so how im going to add photos? or u mean i choose random photo fitting the subject and try to put it inside them ? like what we did witha logos? i think i have finished all the documentation links. i think it is not just TBB , but also "noscript". try to disable it and see. the place where i can upload my photo doesnt show up , i have turned off noscript but it seems the page still acting as if i turning on the noscript. happening with u ? great then , i will change 5 to 10 sites tonight and i will put the links here and then check. yeah i know , its a little time consuming but ok np with that. aha ok , but it seems that u cant upload photo from qubes-whonix to the wiki ? i have tried many ways it either stuck on the upload (always whatever i do) or doesnt upload the photo at all. i should try then from debian environment. hmm i dunno if it worked or not but just check on it. Gimp can show image sizes. And also resize. they would render the image. well u can say i understand the general concept of changing the images sizes.